Thursday September 13, 2018 - A major diplomatic row is looming between Kenya and Uganda over the fish-rich Migingo Island in Lake Victoria after Ugandan authorities pulled down Kenya’s national flag on the island. The incident happened after Interior Cabinet Secretary Fred Matiangi warned Ugandan soldiers against harassing Kenyans living on Migingo Island, failure to which they will know what Kenya is made of. Matiangi announced increased police presence and patrol on the disputed island to assure Kenyans of their security on the island. 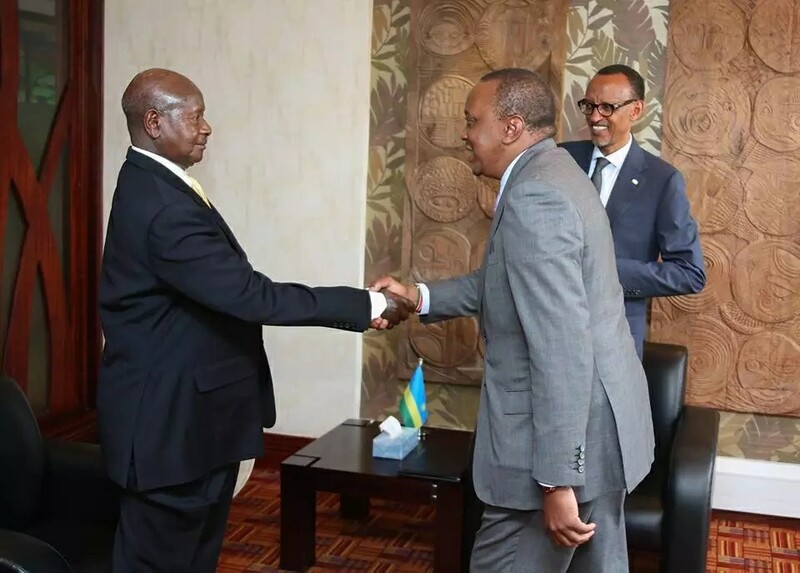 However, Ugandan forces reacted harshly by pulling down the Kenyan flag and issuing a stern warning to their Kenyan counterparts never to provoke them again. Trouble started when Kenyan police officers reportedly hoisted the country’s flag on Migingo, a move that was not beentaken kindly by Ugandan authorities. "They removed the Kenyan flag and gave a warning the Kenyan police never to provoke them again," Migingo Beach Management Unit Chairman, John Obunge, said.